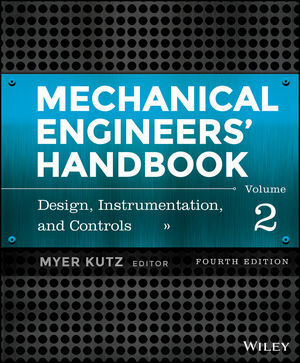 This second volume of Mechanical Engineers' Handbook covers electronics, MEMS, and instrumentation and control, giving you accessible and in-depth access to the topics you'll encounter in the discipline: computer-aided design, product design for manufacturing and assembly, design optimization, total quality management in mechanical system design, reliability in the mechanical design process for sustainability, life-cycle design, design for remanufacturing processes, signal processing, data acquisition and display systems, and much more. The book provides a quick guide to specialized areas you may encounter in your work, giving you access to the basics of each and pointing you toward trusted resources for further reading, if needed. The accessible information inside offers discussions, examples, and analyses of the topics covered, rather than the straight data, formulas, and calculations you'll find in other handbooks. Engineers at all levels will find Mechanical Engineers' Handbook, Volume 2 an excellent resource they can turn to for the basics of electronics, MEMS, and instrumentation and control. MYER KUTZ holds engineering degrees from the Massachusetts Institute of Technology and Rensselaer Polytechnic Institute. He has worked with numerous professional and technical publishing houses as an executive or consultant and is the author or editor of more than 15 engineering reference books.